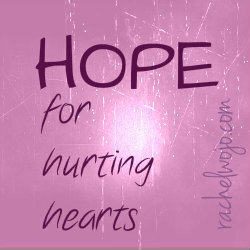 Welcome to week 4 of the Hope for Hurting Hearts series! Remember how we discussed the word “hope” in Scripture typically means our English word-“expectation?” Our expectation, or hope, should always come from the Lord. How do we know we can trust Him? Because of His unfailing love for us! For so many years, I read the Bible and prayed as an item checked off the to-do list. Can you relate? I really performed my “religious duty”… not recognizing the God of heaven wanted to do more than give me a hope for the future. He wanted to heal my past. He wanted His Word to be the healing balm that would restore my soul. 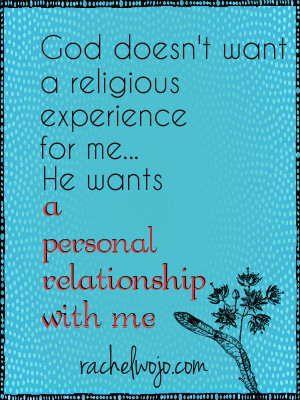 God desires a personal relationship with me- not a religious experience. I simply checked in and out like clockwork, fulfilling the ceremony, performing the ritual of daily Bible reading and prayer time. And then when tragedy after tragedy struck my life, I begged God to tell me what He wanted from me. I poured out my heart and left no tears unshed. When making my soul bare before Him, I discovered that is exactly what He was requesting. and then His Word caressed my wounded soul as the healing balm of Gilead. The oil of gladness replaced my bitterness and His strength became my strength. In my ebook, The Sensational Scent of Prayer, I describe how Hannah’s desperate desire for a child had broken her heart. Completely spent, the Bible tells us that she poured out her soul before the Lord. Without that emptying, we can never be filled with Him. What is it that needs to be emptied so that your heart can be filled with the hope of Christ and His love? My pastor just preached about a similar theme last night, and it was so convicting. How often am I satisfied with mere sips, when He wants to offer me a whole well of blessings and divine enablement? Wow. What a God we serve!! I am so thankful to God for you, Rachel! What a gift for expressing truth He has given you! Thank you for sharing your heart and wisdom! You are so right that we need to pour out all that we’re clinging to, so that we can be filled with the immeasurable mercies and grace of our Great God and Savior!! Kelly, I just loved getting to know you more over the weekend. Your talent and skills are so needed; I’m excited to see where God leads you. Thanks so much for coming by!